The last time you shopped online, you most likely didn’t consider the data you created. Data is at the heart of the online retailer-customer relationship. The last online retailer you visited knows what you were first interested in versus what you eventually bought. And, it knows what you put in your cart and never purchased. Data can be measured, analyzed and accessed from anywhere. It will be the differentiator for retailers to grow and engage an expanded customer base. Until now, detailed shopper data was only available to online storefronts. At Intel, we believe that increasingly retailers will be separated by those who have data and use it to grow and optimize the shopping experience, and those who don’t and make their decisions based on “experience” and subjective observations. Used efficiently, data provides customers more control and retailers more information. As Intel is displaying this week at NRF’s “Retail Big Show,” data-centric tools and other technologies are about to dramatically transform both your in-store and virtual shopping experiences. Intel’s Internet of Things (IoT) and cloud technologies touch every link of the retail supply chain. IoT sensors capture data that can be analyzed. Data centers crunch the information and give it real-world usefulness. For example, our technologies can see what items are not in their correct location and the up-to-the-minute store inventory, including what’s in the back room. They can even tell what items go in to changing rooms, but never make it to the cash register. 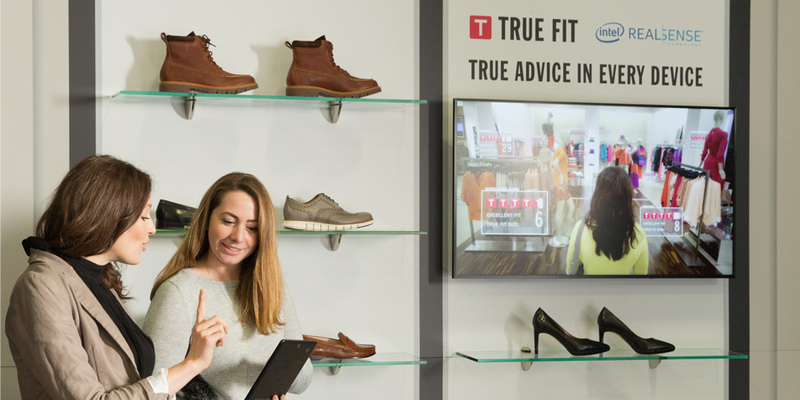 To help transform how people shop and how shops can better serve them, Intel today is introducing the Intel® Responsive Retail Platform (Intel® RRP). It will deliver a deep understanding of how stores and people interact. And, over the next five years, Intel plans to invest $100 million in the retail industry with this new platform. The investment will enable retailers to unify every part of their operations, create a positive impact on their bottom line, and solve longstanding business challenges. The retail platform collects multiple data streams to connect digital and physical environments. With the goals of lowering costs and increasing sales, the platform helps optimally place inventory, deploy employees and other resources, and track inventory – through the supply chain to the store door. It provides in-the-moment information about what customers are buying, what they want and how to manage inventory so it arrives just in time for customers to take it home. And data-centric tools are just the start for where technology will take the retail experience. Today, innovative retailers like Alibaba are empowering customers to use virtual reality to shop anywhere in the world without leaving their home. Customers are engaging in personalized shopping experiences in virtual reality, while the immersive technology is opening doors for retailers to creatively reach new customers and markets. Virtual reality will help customers and retailers use data and analytics to maximize investment and impact in retail. It could be a game changer. With technology like robots and artificial intelligence to free up employees, every aspect of the store and supply chain will allow retail employees to better focus on the customer and improve the store’s performance. We’re developing technologies that will help transform the shopping experience in the near future. By bringing together virtual reality and the power of data, we’ll help create the store of the future – one that is smart, responsive, connected and secure. 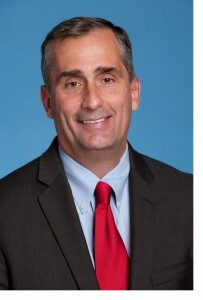 Brian Krzanich is the chief executive officer of the Intel Corporation. Follow him on Twitter at @bkrunner.